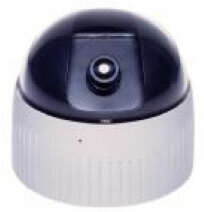 This is a Color CCD video camera employs a 1/4" Panasonic CCD (charge coupled device) solid-state imaging device which provide extremely long life and high reliability. The special of this super mini camera is to be easy located at any destiny places, so you can easy to monitor the wide range area after set up the camera. This high quality camera is also designed to have very low current consumption of 80mA only to achieve excellent reliability.